Thanks to Node.js Development Service, websites now can be scalable network applications that work properly with various operation systems threads. With the chance to open up the vast amount of open source libraries of technology, Node.js is no doubt to be one of the best choices at present. And this choice was affirmed by Walmart, Intel, NASA, IBM, Paypal, LinkedIn, and many more big cooperations. Being curious about the reason why Node.js is so appealing? Let’s take a further step into the world of Node.js in web development. Why Node.js Web Development is faster than others? Microservices are perfect for Node.js Web Development projects! Non-blocking Input/Output operation (I/O operation) is the main reason that makes people say: “Node.js in web development is faster than others’. In other words, Node.js runs on callback-based asynchronous IO: requests can be automatically queued and served by a thread; once the first request has been finished, it gives call back to the thread and the next request is ready to be in the process. Therefore, the time between requests is optimization saved, in contrast to the Apache server, when there is waiting time between. It is more noteworthy that Node.js is an excellent platform for the data-intensive real-time application that runs across distributed devices. It is also specifically designed for writing scalable Internet applications, prominently in developing web servers. Its remarkable performance is proved based on the architecture of many Internet applications. Node.js assists IT programming developers to scale the application in both horizontal and vertical ways. Hence, the performance of the application is improved; crashes and other risk issues is significantly mitigated. With the assistance of Node.js in web development, unit testing is not a big obstacle anymore. Getting access to the vast amount of good testing libraries of Node.js, developers now can spend less time in this task to have more time to do other important tasks. Node.js is one of the most extensive package ecosystem ever! At the end of 2016, there are about 400,000 packages and steadily go way higher up to this day. Is this statistics impressive enough for you? And it gets updated every day! Npm (Node.js package manager), considered to be the world’s largest Software Registry. According to ‘State of the Union: npm’ published in January 2017, “4,685 packages were published in the registry” in a week. It seems to be “never be outdated” with Node.js ecosystem, right? In 2018 Node.js User Survey Report by Node.js Foundation, Node.js is the most popular package manager, which takes up to 60% of the overall package manager usage. With its built-in Application Programming Interface (API), apparently, Node.js Development Company can easily be able to develop different sorts of a web server, chat server and other network application such as DNS Server, Jigsaw servers, TCP servers, HTTPS Server, etc. Or with your diligence and persistence, you can build a simple web server with Node.js in your own way. There are many detailed instructions and steps out there on the Internet, also in the book “Get programming with Node.js”. Or you can contact Savvycom to book a FREE consultation about building network application development. Now, let’s come back to the benefits. What are these things? Clients tend to choose Node.js for their microservices over others, to optimise the performance of an application. With the support of Node.js platform, you are able to process your application while still using it, scale the parts that are not available yet in your application. Moreover, some unproductive modules can be cancelled at the same time you do below things. This kind of separation of many tasks is the “easily done” factor in microservices operation on a Node.js application. Mentioned by Stephen Commisso (Senior Software Engineer of GoDaddy) in Node Summit 2015, by rightly utilizing microservices and Node.js, it’s totally capable of handling the same load with only 10% of the hardware. Compared to Java Development Companies, Node.js counterparts are able to meet your requests and give you a full server or application in a shorter time. 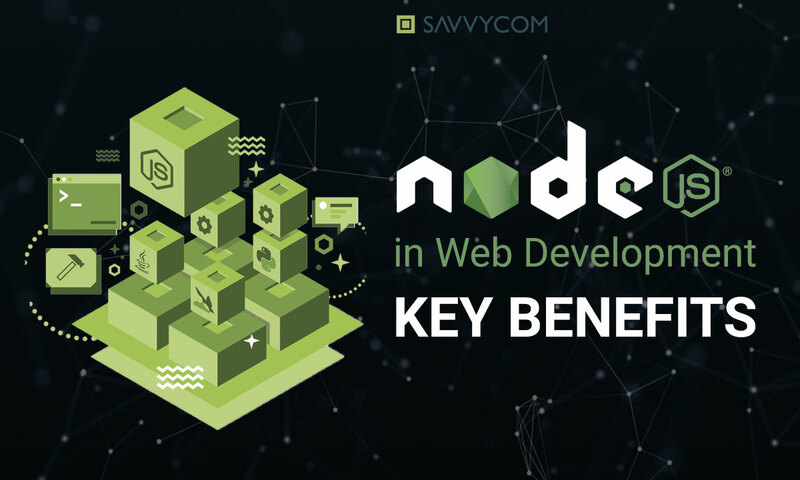 Node.js’s advantages over other platforms I can list is the modular structure, few lines of codes, agile development and collaborative development approach of Node.js framework. The node.js application can work flawlessly in the fast pace due to Non-blocking event-driven I/O. More detailed, Node.js Development Services optimize the data by reducing its occupied storage space, therefore its speed is boosted 20 times faster! In the case of Paypal experiment, compared to the previous version of the Java-based application, Node.js Mobile application development manages to cut the response time by 35%. That’s the reason why Node.js Web Development is more preferred to create the high-performance application. Currently, Node.js framework has passed by many functional characteristics of Java and .Net platform in the field of business app development. Another one is Shopping App – Sale & Reward System. The application is the solution assisting shop owners to distribute Offers and Gift Cards to users who have installed Reward application on their mobile devices. Finding and picking Gift Cards, inviting friends, co-workers to use Reward application and get Reward are the core functions Savvycom built for the app.